Over the last few days several reports on social media indicated a rising death toll following security crackdown against a stay-at-home protests in Bahir Dar and Gonder, the region’s capital and a historic city visited by thousands of tourists respectively. Pictures coming from many cities and towns in the region also show protesting citizens, burning tyres and roadblocks. Reports also indicate that up to 50 civilians were killed in the past one week only. Tensions are on the rise following a statement given to state owned media by Prime Minister Hailemariam Desalegn in which he announced that he has ordered the Ethiopian National Defense Force (ENDF) to intervene to control the situation in the region, home to the second largest ethnic group in the country. In his speech PM Hailemariam blamed Ethiopia’s “outside enemies” for being the instigators to disrupt the country by providing “radicals with sacks full of money.” He further stated that the government will use “its full forces to bring the rule of law” into the region. Pictures circulating around social media show heavy artillery moving towards the state capital Bahir Dar, 550 North of Addis Abeba, and the nearby town of Gondar where the recent wave of #Amharaprotests originated late last month. Addis Standard could not independently verify the authenticity of those pictures. Internet is shut off in the whole region while locals fear government sanctioned phone call monitoring. In the last few days tens of thousands of citizens in several cities and towns in Gojam and Gonder areas of the region have come out to the streets to protest the government. In what many see as the ultimate test of the ruling EPRDF protesters are also showing solidarity with the #Oromoprotests which began in Nov. 2015. In the weekend of 6-7 August region wide protests both in Amhara and Oromia regions were met by violent crackdown by security forces. It’s reported that more than 100 civilians were killed in that weekend only, according to Amnesty International. 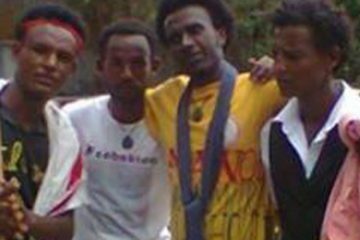 In Bahir Dar only, more than 30 people were killed when a security guard opened fire at protesters. The government disputes that number. 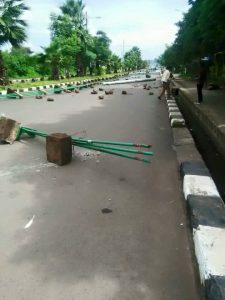 The stay-at-home protests in Bahir and Gonder followed the deadliest weekend, however in the last few days that too turned violent when security forces began breaking into houses in an attempt to force citizens and businesses to stop the stay-at-home protests.